Road verses rail. Part 2, the case for rail. In the last post, see here, we looked at the benefits of roads over rail. This leads us to another question, what are the advantages of railways? The case for travelling by rail. 1. Trains are out of view. With the low density of the rail network, referred to above. It is unusually for most people to actually see or experience a train on a daily basis. In addition to this they run on lines separated from road traffic for safety reasons. It is therefore easier to have romantic notions about trains when compared to the loud and ever present road traffic. For example loud, slow trucks are usually blocking our way when driving or loudly belching out fumes when we are out walking. But unless you are living within a few hundred meters of a railway track, they are out of slight and mind. Perhaps this is a case of absence makes the heart grow stronger? 2. Travelling by trains is a more social experience. As a regular train user, I find it a very social way to travel. I usually speak to a stranger or friend at some stage when travelling by train. 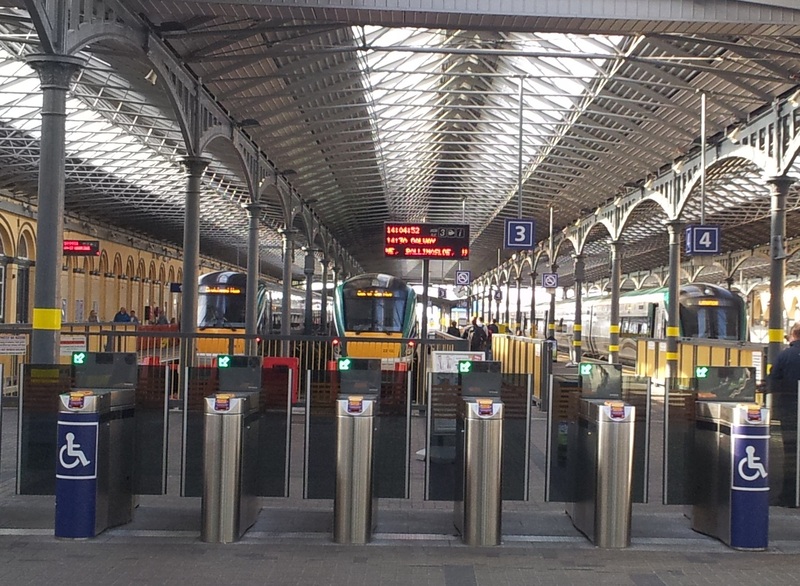 This is for many reasons, partly because of the seat arrangement (a lot of seats face each other), but also because as Irish trains are quite often late, people start talking to one another and usually they continue this conversion when they board the train. I have made a few friends from travelling by trains; I have never made a friend as a result of driving my car unless you include my mechanic! 3. Comfort. While it may be uncomfortable listening to iPods and mobile phone conversations on a train, a bus also has this problem. However a train has more space, has large toilets and you can even walk around to stretch your legs. Also the train ride is much more comfortable compared with buses or driving as there are no sharp corners and much less stopping and starting compared with buses. The food on board can be very reasonable and one of modern life’s better experiences is being able to enjoy a full breakfast, with all the trimmings, while the travelling at 100 kph. For a long journey the train beats every other mode of transport for comfort. Although having said that air travel makes a long journey by rail, much quicker. 4. Train stations. 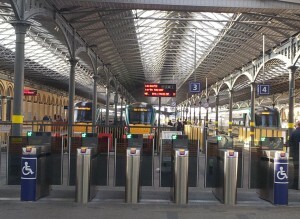 Trains stop at stations which are usually nice historic buildings which protect passengers from the elements and can be relatively quiet with seats and sometimes shops and cafes. It is a safer and more pleasant experience than waiting for a bus at the side of a busy road or stopping in most car service stations, there are exceptions to this of course, see here. 5. Environmental. When full, trains can transport large numbers of people more fuel efficiently than cars. As the stations are located infrequently they contribute to a higher density of town settlements which results in better land use. Car use by comparison contributes to urban sprawl. 6. City centre to city centre connections. Trains usually connect with the city centres. This is a huge advantage if you want to access the city centre compared with sitting in road traffic congestion. Conclusion. Therefore when people say they prefer trains to trucks or cars, I think they are influenced by the six reasons above rather than the first six, in part 1. People rely on their own experiences of each form of travel and are not thinking of the economies of moving freight. Interestingly I was going to state in the above article that trains are safer that cars, but according to a report written in the UK this may not be the case, click here for the report fact sheet. It seems to indicate that when casualty figures for motorways and railways are adjusted for actually usage the motorways are safer. What are your thoughts on the matter? Road or rail and why? Road verses Rail. Part 1: The case for roads.